Most dog owners are caring, responsible people who love their animals. Good owners take precautions to protect the safety of their pets, but also the safety of others who are around their pets. Unfortunately, not all dog owners take this responsibility seriously, which may result in dangerous dog attacks. While dogs cannot be held accountable for their actions, an owner who fails to restrain a dangerous pet can be held liable for the harm the dog has caused. Medical insurance may cover minor dog bite injuries, but the costs of prolonged or severe attacks can quickly spiral out of control. Unfortunately, insurance companies are often unwilling to pay for the total costs of a dog bite, and may be unfairly pressuring you to settle for an amount that doesn’t begin to cover all of your losses. At GriffithLaw, our Nashville dog bite lawyers can get you the insurance payment you are owed and determine whether the dog owner could be held responsible for your injury costs. As a former insurance claims adjuster, John Griffith is here to protect your rights and make sure the insurance company gives you the compensation you and your family deserve. Fill out the quick contact form on this page or call us at (615) 807-7900 to have our legal team explain your rights in your free case evaluation. Medical costs. Victims can suffer a wide range of injuries from a dog attack, including lacerations, puncture wounds, broken bones, infections, and nerve damage. Severe dog bite injuries may even require reconstructive surgery. Permanent effects. Nashville dog bites can often result in life-altering injuries, including amputation of fingers and toes, disfigurement, scars, or lifelong emotional trauma. Property damage. Clothing, eyeglasses, jewelry, expensive handbags, shoes, and other valuable personal items can be torn or broken during a dog attack. Lost income. A serious dog attack can cause a victim to miss weeks from school or work, greatly impacting his income as well as his professional future. If an injury has resulted in permanent impairment or disfigurement, a person may be unable to perform the same job, have fewer career opportunities, or be forced into early retirement. Pain and suffering. The effects of an animal attack are not just physical. A victim can suffer many symptoms of post-traumatic stress disorder (PTSD), depression, anxiety, and other forms of emotional trauma that require temporary or ongoing therapy. Injuries to children. Children are significantly more likely to be injured or killed in a dog attack than adults. In most cases, children who are attacked by dogs suffer injuries to the face and neck, requiring painful plastic surgery and lifelong visible scarring. Wrongful death. Young children and elderly victims are at high risk of death due to dog attacks. Victims with fragile bodies may not survive severe shaking or tossing, loss of blood, or an infection that begins in a dog bite wound. Tennessee dog bite laws require all dogs to be kept under reasonable control and be prevented from running at large in public areas. If the dog owner violates either of these duties, he can be liable for any injuries the dog causes, regardless of whether the dog has shown any dangerous behavior in the past. However, there are some major exceptions to this rule. If a victim is shown to have provoked the dog, or if the dog was reasonably confined when the attack occurred, the victim will not be entitled to compensation for the resulting attack. 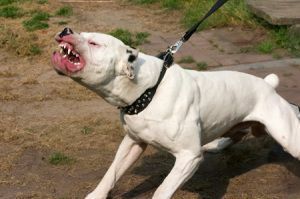 In addition, dog owners are not liable for any dog attacks that occur on the owner’s own property—including property that is rented or occupied by the victim—unless the victim can prove that the owner knew the dog was dangerous. Finally, a person injured by a military or police dog while the dog was in the course of official duties cannot take action against the dog’s owner or handler. After you or a loved one has been injured in a Nashville dog attack, you only have one year to file an injury lawsuit against the owner. Let the experienced dog bite lawyers at GriffithLaw advise you of your legal rights in a free initial consultation before your right to compensation is lost forever. Call us today at (615) 807-7900 or fill out our online contact form. For more information on filing a claim, order a free copy of our book, The 10 Worst Mistakes You Can Make With Your Tennessee Injury Case. "My family and I had the best experience working with attorney, John and our case manager, Joshua. 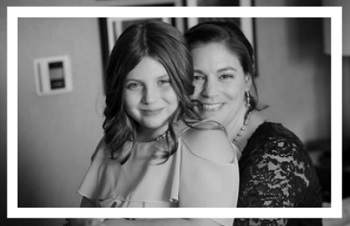 After my young daughter suffered a traumatic dog bite injury resulting in an exhausting recovery, the last thing I wanted to worry about was the legal process surrounding responsibility and compensation. I was in a desperate situation, and John was the perfect advocate for my daughter. He and Joshua provided quick and accurate communication. I was advised wisely and with my daughter's best interests as the top priority. I am very happy with the case outcome, and I can't thank John and his team enough for guiding me through with such comfort and confidence. While I hope to never need their services again, I trust Griffith Law completely to take care of me and my family, always." How Much Can I Expect From a Dog Bite Settlement?